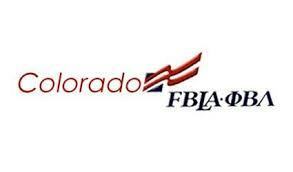 FBLA State Convention recently occurred from April 18th through 20th. Beginning on the 18th, students presented to judges in hopes of making it to finals on the following day. Many Holyoke FBLA participants did make it to finals. The students that made it to finals presented once more. There were also FBLA participants that did not have presentations, but tests to take instead. They also took these throughout the day. In the meantime, any members that weren't presenting or taking tests at the time went to prerequisite workshops to prepare for Nationals. These intriguing workshops ranged from finding out what your personality means to being a businesswoman. Once workshops were completed, students could shop in Vail Village or hang out in the amazing Four Seasons hotel rooms. On the morning of April 20th, awards were presented to those who placed in the top 5. The top 4 moved on to Nationals. Holyoke had many projects that received awards, and those students will be moving on to Nationals. All FBLA members give a huge shout out to all those that helped them get to were they are, especially Mrs.Nelson. Thank you!